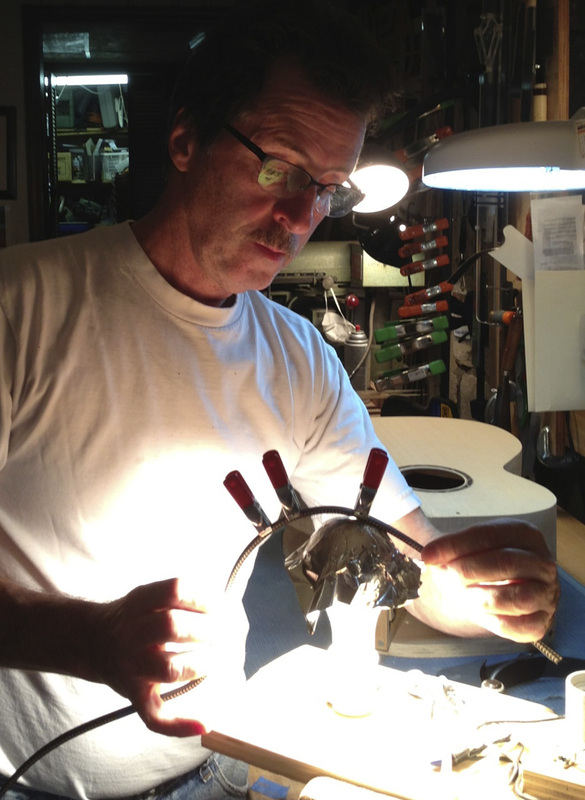 In the guitar workshop this month. August kept me busy in my shop. Although there were a few days I should have enjoyed a little sun I found my self inside on various tasks. 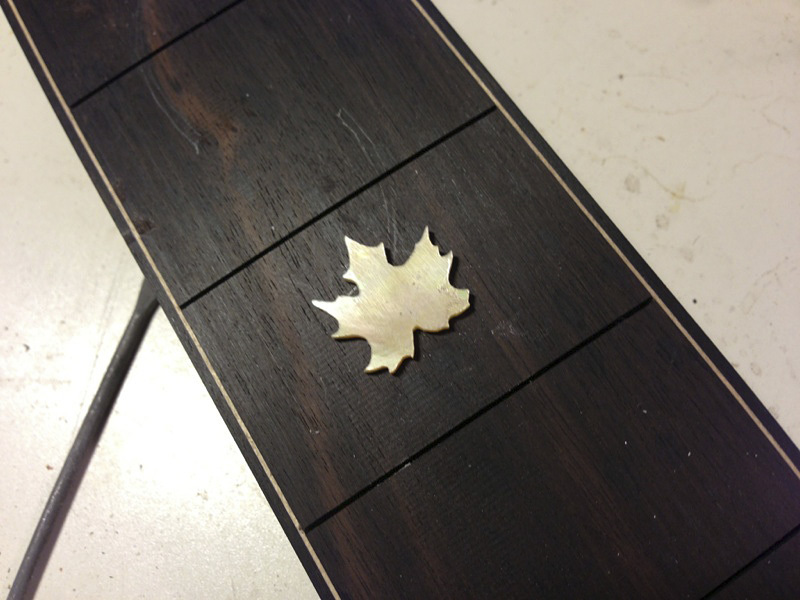 I decided to add a falling maple leaf motif to a fingerboard for a quilted maple guitar under construction. 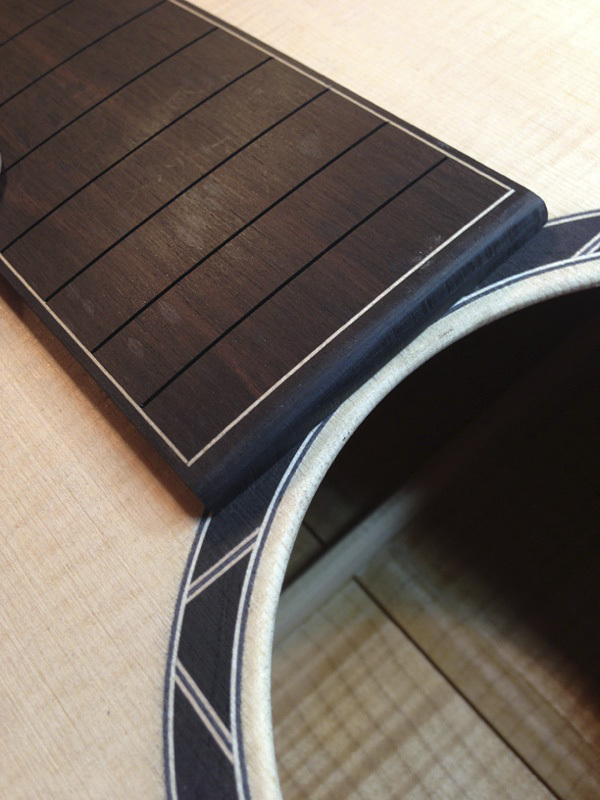 It began with lamination a .20 white maple fiber and an ebony binding to the fingerboard. 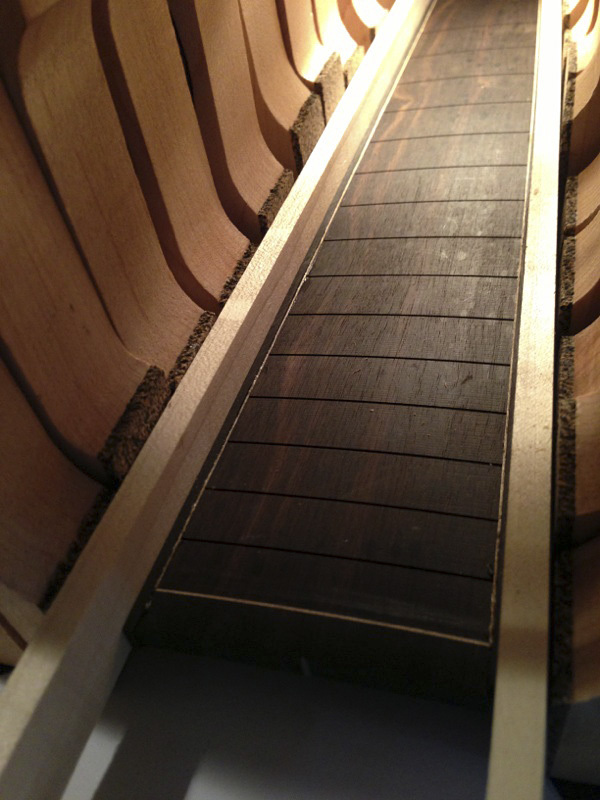 In this shot you can see the fibre and ebony being clamped up and the finished result below. 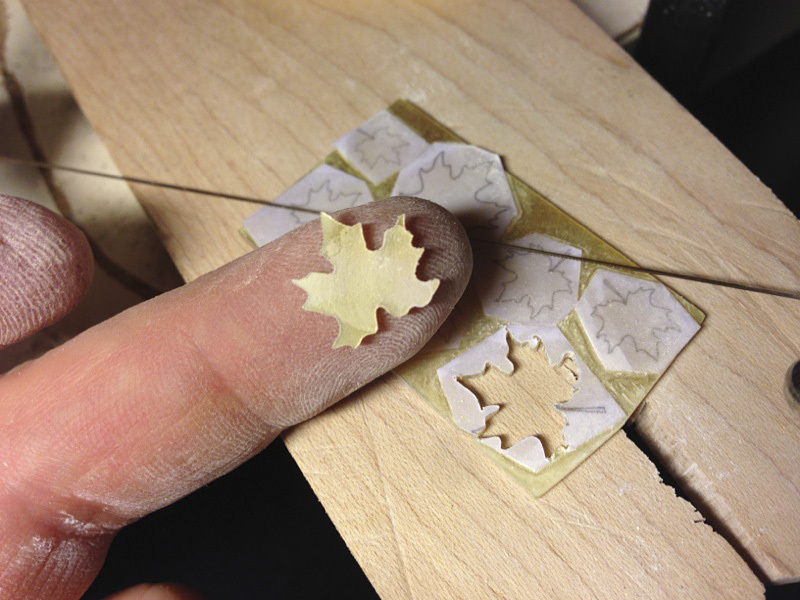 When that was complete I cut a series of gold/white Mother of Pearl maple leafs in progressively smaller sizes. 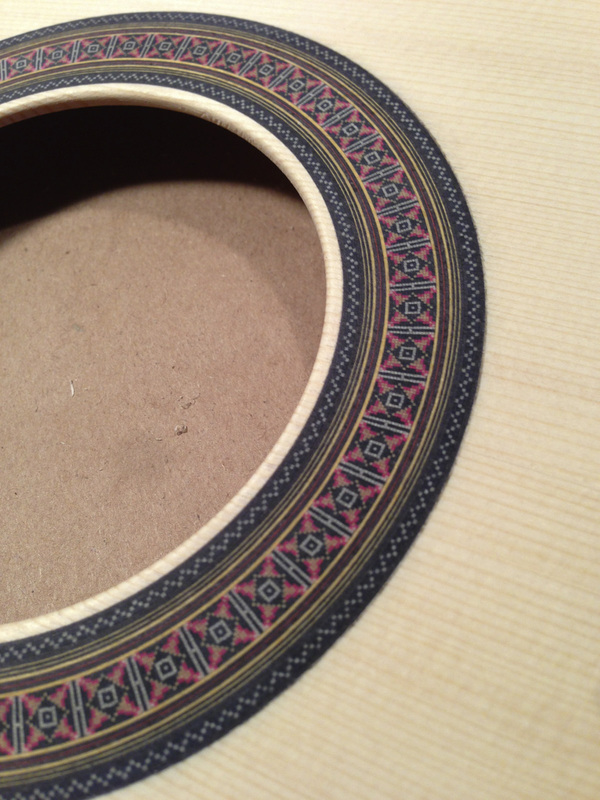 Those were inlaid into the fingerboard in a random falling leaf pattern as per suggestion by my friend Tony DiDomenico Luthier, builder of fine instruments and finisher, http://didomenicoguitars.com. The stems pieces were then cut, no small task for such small pieces, and the fill was added. 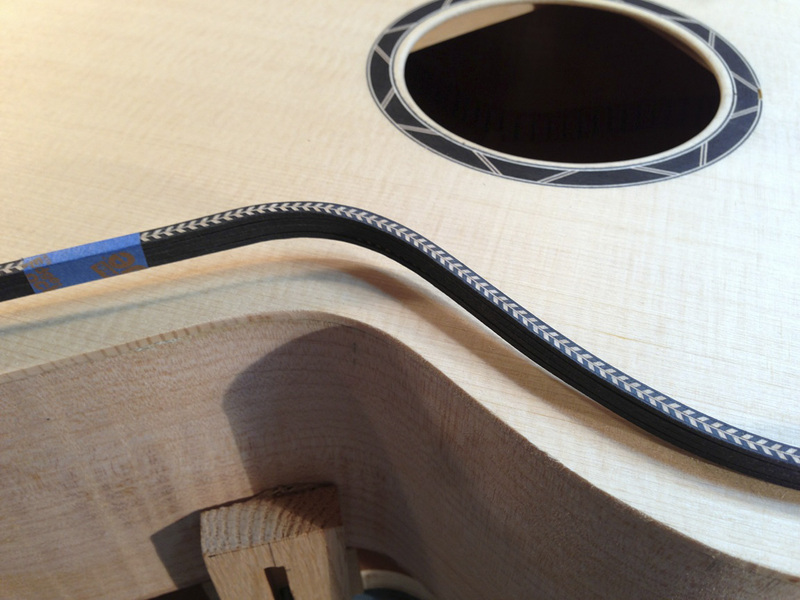 The body of the maple guitar will get some herringbone binding. 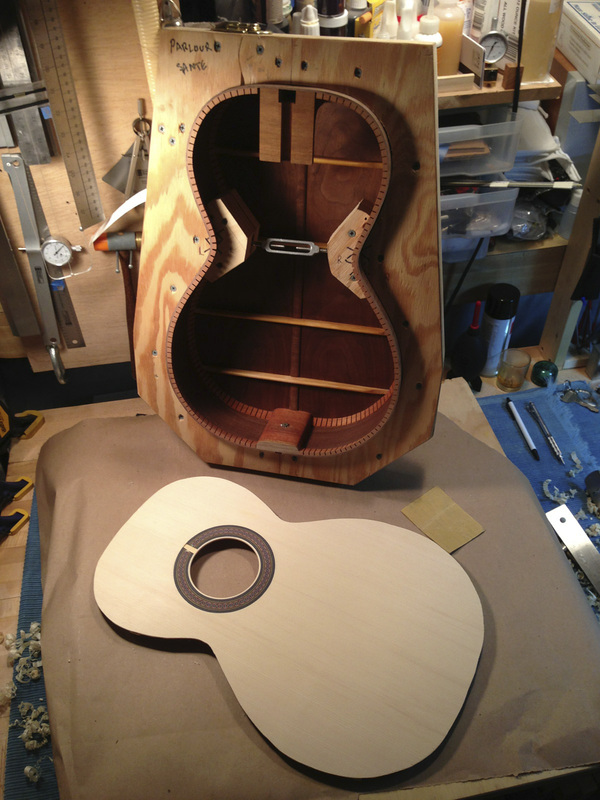 The overall look of this instrument will be black and white. I have also continued work on a Walnut parlor. The woods in this are from and 50 year old piece of american walnut that someone gave me and I re-sawed. 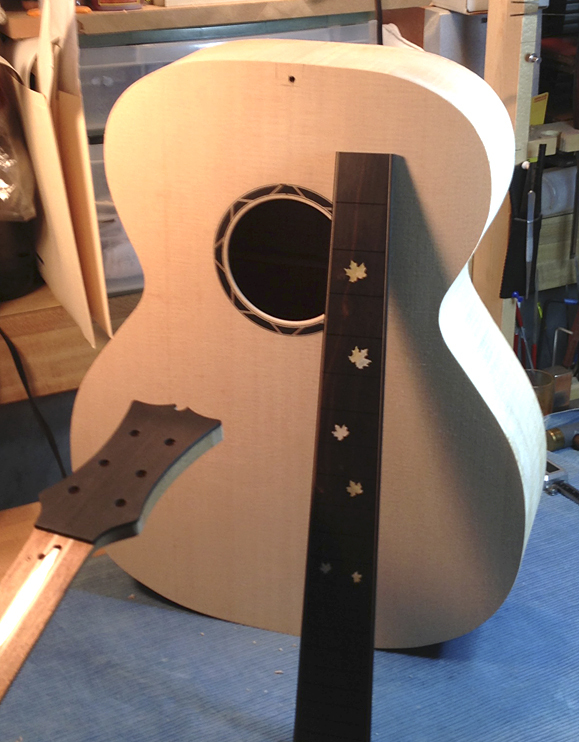 The Red spruce top is 3A, very clean, and Im using a hand made Russian traditional rosette.